Map of the world by Ottoman admiral Piri Reis, drawn in 1513. Only half of the original map survives and is held at the Topkapi Museum in Istanbul. Arabia being a barren peninsula, its inhabitants had always to depend on foreign supplies for the necessities of life, hence they had to undertake trips to distant countries like Egypt, Abbysinia, Syria, Persia and Iraq. It was an Arab caravan which brought Hazrat Yusuf (Prophet Joseph) to Egypt. Moreover, the fertile areas in Arabia including Yemen, Yamama, Oman, Bahrein and Hadari-Maut were situated on the coast, and the Arabs being sea-faring people took sea routes in order to reach these places and fulfilling their commercial ventures. The birth of Islam opened a new vista for their enterprises and the vast conquests of the Arabs during the early decade of Islamic history served as a fresh stimulus to their adventurous spirits. The stories of the famous Arabian Nights including the one about Sindbad the Sailor, give a glimpse of the adventures of those fearless Arabs. Sinbad the Sailor: "Having balanced my cargo exactly..."
It provides a slightly coloured account of the great voyages undertaken by Arab mariners as early as the 1st century A.H., and who, undaunted by the perils enroute, roamed about in stormy seas reaching such distant lands as Ceylon, Zanzibar, Maldives, Malaya, Java and Sumatra. The Haj or the holy pilgrimage to Mecca was another factor which added to their geographical and commercial knowledge by providing social contacts among the Muslims of various countries visiting Mecca every year. This pilgrimage provided not only the means for promoting religious unity but also contributed to strengthening the commercial ties among Muslim countries and led to the exchange of views and news among people of far-flung countries. In fact the Haj, which created an opportunity for a great international assembly each year, has paved the way for Muslim commercial and geographical enterprises. The invention of mariner’s compass opened vast oceans for their enterprising voyages. Most European writers have credited the Chinese with inventing the mariner’s compass, but according to the famous Orientalist George Sarton, the Arabs were the first to make practical use of it, a fact which has been admitted by the Chinese themselves. Another celebrated Orientalist, Philip K. Hitti, has endorsed the view expressed by George Sarton. “According to a statement of Sir R.F. Burton, it even seems that Ibn Majid was venerated in the past century on the African coast as the inventor of the compass”. l Any way, the practical use of the compass has immensely contributed to the undertaking of distant voyages by Arab sailors, who had hitherto been confined to coastal trips. They now came out into the open ocean and roamed about in the Atlantic as well as in the Pacific, circled the African continent and touched even the shores of the New World. The frail boats were replaced by larger sailing ships and Arabs with the help of compass and other marine instruments braved the stormy seas. A kamal is a celestial navigation device that determines latitude. It originated with Arab navigators of the late 9th century, and was employed in the Indian Ocean from the 10th century. The golden period of Muslim geography, travels and explorations runs from the 9th to the 14th century A.D., in which a vast amount of travel and geographical literature was produced in the world of Islam, which ultimately paved the way for later explorations and discoveries by the Christian West. Writing in the Legacy of Islam J. H. Kramers says, “Europe ought to look upon them (Muslims) as its cultural ancestors in the domain of geographical knowledge of discovery and of world trade. The influence which Islam has exercised on our modern civilization in the spheres of action can be seen in the many terms of Arabic origin which are to be found in the vocabulary of trade and navigation. An illustration from al-Biruni's astronomical works (973-1048), explains the different phases of the moon. The works of Greek writers specially the Almagest, written by Ptolemy provided the starting ground for Arab geographers. Al-Khwarizmi, the eminent Arab scientist, who flourished during the reign of the celebrated Mamun-ar-Rashid incorporated some of the ideas of Almagest in his geographical treatise Kitab Surat aL-arz. The book which has been preserved in Strassburg was edited along with a Latin translation by Nallino. Adrabigan on the map of Spruner and Menke. The simple geographical descriptions of numerous countries including their physical features, climatic conditions and the life of the people formed the subject matter of treatises compiled by early Muslim geographers. Ibn Khurdabaih wrote Kitabal-Masaalikwal-Mamaalik; Al-Yaqubi compiled Kitab al-Buldan; Ibn al-Faqih also wrote Kitab al-Buldan and Ibn Rusta named his work Kitab al-A’laq al-Nafisa. These books contained simple facts about the countries in order to satisfy the practical necessities of travellers visiting such countries. The foremost writer of such geographical treatises during this period was Abu Zaid Al-Balkhi who was an eminent scholar at the court of the ruler of Khorasan. He has the distinction of being the author of as many as 43 books including his Suwarul-Aqaalim a geographical work of considerable value which is not available at present. The book guided later writers on the subject. kept at the Whipple Museum of the History of Science in Cambridge, England. The points of the curved spikes on the front rete plate, mark the positions of the brightest stars. The name of each star being labeled at the base of each spike. The back plate, or mater is engraved with projected coordinate lines. Abu Yahya Zakariya Ibn Muhammad al-Qazwini (1203-83 A.D.) who wrote a book entitled Ajaib-ulMakhluqat wal-Gharaib-ul-Maujudat which is a very systematic cosmographical work, and which, according to M.
Streck, ‘must be deemed as a work of fundamental importance and is quite the most valuable book that the Arab middle ages have given us in the field’. Al-Qazwini has dealt with the description of the earth together with its seven climatic regions in his other geographical treatise Athat al-bilad wa-akhbar al-‘ibad (Monument of Places and History of God’s Bondsmen). The book also contains the climatic regions, physical features, life and history of the people of the countries dealt with. The voluminous geographical work written by the Spanish author Al-Bakri (C. 1067), contained most elaborate information on ports and coasts. Another geographer of repute is Hamdullah Mastaufi, the author of Nuzhat-ul-Qulub which deals with natural history, anthropology and geography. It has helped Mr. G. L. Stange in writing his book entitled Lands of Eastern Caliphate. Ibn Hawqal's Map of the World. 10th century. From Iran's National Museum Library. Abul Qasim Ibn Hauqal is the first traveller worth mentioning who, starting from Baghdad in 943, A.D. made an extensive tour of the Islamic countries and on his return incorporated his experiences in his geographical treatise, Kitab al-Masaalik-wal Mamaa. Another more famous traveller of the period is Shamsuddin Abu Abdullah al-Moqaddasi. Excepting Spain and Sind, Moqaddasi too toured the length and breadth of the Islamic world. He has put down his travel experiences in his celebrated geographical work Ahsan-al-Taqasim fi Marifat al-Aqaeim a rare book of its type. A. Sprenger has acclaimed him as the greatest geographer of all ages. The Asiatic Society of Bengal published the English translation of his famous work in 4 volumes between 1897 and 1910 A.D.
Abul Hasan Ali Ibn al-Husain al-Masudi is one of the great versatile figures of the Islamic world. 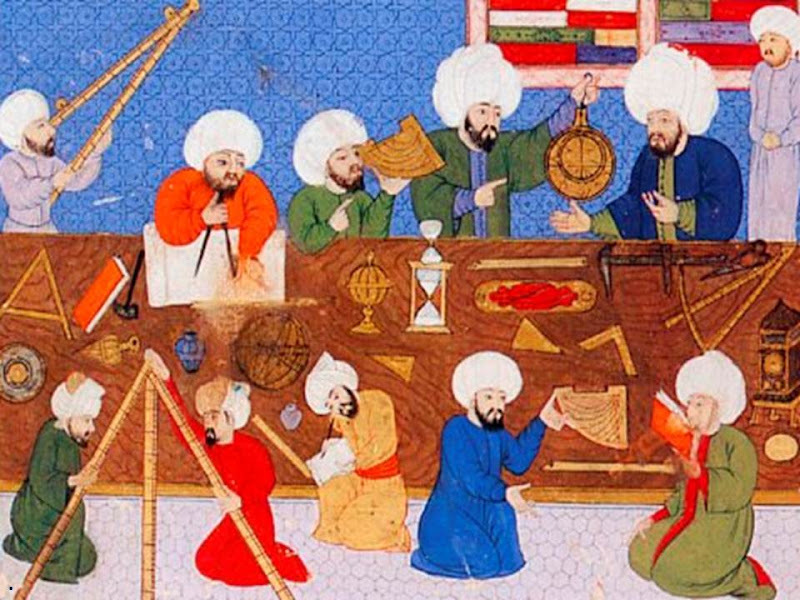 Working in the Galata Observatory founded near Istanbul in the late 16th century by the Turkish astronomer Takyuddin, astronomers had access to the best reference works and technology of the era. He is a well-known writer and explorer of the East. He was still quite young when he travelled through Persia and stayed in Istakhar for about a year in 915 A.D. Starting from Baghdad, he went to India, visiting Multan and Mansura, returned to Persia and after touring Kerman again went to India. Travelling through Cambay, Deccan and Ceylon he along with some merchants sailed to Indo-China and China. On his return trip he visited Madagascar, Zanzibar, Oman and he reached Basrah where he settled a fterwards and wrote his great work, Muruj-al-Dhahab (Golden meadows) in which he relates his rich experiences in a cheerful manner which amuses the reader. Masudi also visited the southern shore of the Caspian Sea and travelled through Central Asia and Turkistan. Retiring to Fustat (old Cairo) he wrote his voluminous work Mirat-uz-zaman (Mirror of the Times) comprising 30 volumes in which he elaborately described the geography, history and life of the people of the countries he had visited. He toured Gujrat in 303 A.H. According to him, Chemur, a port of Gujrat was inhabited by more than 10 thousand Arabs and their descendants. Among the great mariners of the 10th and 11th centuries A.D., Sulaiman al-Mahiri and Shahabuddin Ibn Majid occupy outstanding positions. They not only roamed about in the Indian, Pacific and Atlantic oceans, but also toiled around the African continent and probably even touched the shores of the New World. Sulaiman reached as far as the Behring Strait and has penned his valuable experiences in a number of books, of which Al-Umdat ae-Mahriya Ji Zabt-ieUlum-il-Bahriya is well -known. The other mariner Ibn Majid was considered among the four sea lions of his time. Allama Syed Sulaiman Nadvi in his book entitled The Navigation of Arabs has enumerated fifteen books written by Ibn Majid on Navigation. According to a Western critic, Ibn Majid is one of the earliest writers of nautical guides and his elaborate geographical account of the Red Sea could not be surpassed even up to the present day. Ibn Faldan was a traveller of the 10th century A.D., who led an embassy sent by the Abbasid Caliph Al-Muqtadir Billah in 921 A.D.
to the Bulgarian Monarch, and incorporated his experiences in Risalah which is one of the earliest regional accounts about Russia. During the eleventh century A.D., Abu Rehan Beruni, the celebrated thinker of Islam visited India, stayed there for a number of years, learnt the Sanskrit language and described the geography and the life of India in his memorable work Kitab-al-Hiplel. Regional geographics were also written during this period. Famous among them were the description of the Arabian Peninsula by Al-Hamdani and of India by Al-Beruni. The works of travellers like Ibn Jubayr, Al-Mazini and Ibn Batuta are store-houses of geographical knowledge. Al-Mazini (1080–1170 A.D.) who visited Russia wrote Tuhfat-al-balad. The Nuzhat al-mushtāq fi’khtirāq al-āfāq (also known by it’s Latin name, Tabula Rogeriana) is a map of what was then the known world made in 1154 by Muhammad al-Idrisi. In this map, al-Idrisi oriented South at the top of the map, and the labels (which can be seen better by clicking on the map and zooming in), are written in al-ʻArabiyyah (Arabic). The Nuzhat al-mushtāq fi’khtirāq al-āfāq remained the most accurate world map for three centuries. The most brilliant writer of the period is Al-Idrisi (2101–54 A.D.) who was employed at the court of the Christian king of Sicily. His book Nuzhat-ul-Mushtag contained 70 maps. In the second abridged edition of Idrisi’s book one comes across eight instead of seven climates which were to be found south of the equator. The world map drawn by Idrisi is of the traditional round type and the first translation of his book was published in Rome in 1619 A.D.
Yaqut-al-Hamavi (1179–1229A.D.) compiled a big geographical dictionary named Mujam-al-Buldan which contains all geographical names in alphabetical order. It was published in 6 volumes in Leipzig (Germany) between 1666–73 A.D. The Spanish traveller, Ibn Jubayr visited Mecca and Iraq in 1192 A.D. He wrote his well-known book of Travels entitled Rihlat-ul-Kinani which is a unique book of its type in Arabic literature. 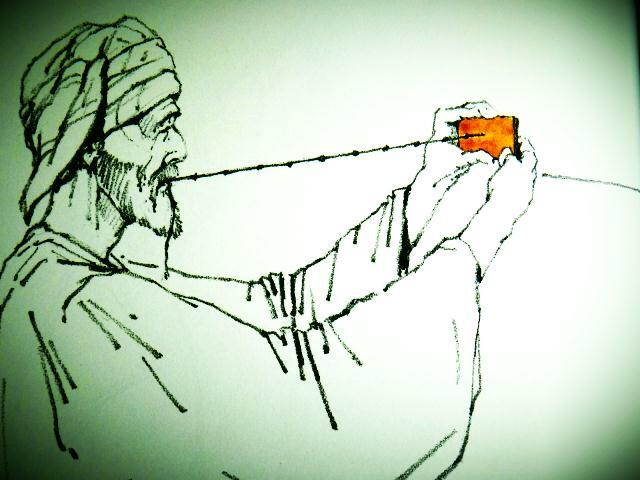 Abu Abdulla Muhammad (1304–78 A.D.), better known as Ibn Batuta was the greatest Muslim traveller. Born in Tangiers, he started his travels at the age of 20, and returned home at the age of 51. During these 31 years he covered about 75,000 miles which is equal to three trips round the globe. No explorer or traveller during mediaeval times had traversed so many miles during a lifetime. Starting from Tangiers he toured Egypt, Abbysinia, Northern and Eastern Africa including Mombassa. He crossed the great Sahara (Desert) and reached Timbuktu. He describes an oasis in the Sahara (Desert) where people constructed houses of rock-salt roofed with camel skins. In Europe he visited Spain, the Eastern Roman Empire and Southern Russia and sailed in the Mediterranean and the Black Seas. There hardly was a Muslim country in Asia, which Ibn Batuta had not seen. He made many tours of the Arab countries and performed Haj (Holy pilgrimage to Mecca) four times. In addition he travelled in Persia, Turkistan, Afghanistan, India, Maldives, Ceylon, East India, Indo-China and China. According to him Aden was a great commercial centre in those days and had a good system of water-supply. He travelled as far North as Bolghar (54 degrees N) in Siberia, in order to see the shortness of summer nights and desired to travel into the land of darkness (extreme North of Russia), but abandoned his visit due to certain reasons. He stayed for eight years in India, as the State Qazi of Muhammad Tughlaq in Delhi, but had to flee to Deccan in order to save himself from the indignation of the Emperor. He took part in the conquest of Goa and visited Mal dives where he was made Qazi and married four wives. He relates interesting stories about India. Hindus in those days drowned themselves in the sacred waters of the Ganges in order to gain Baikunth (Paradise). On his first sight of Sati he was so overwhelmed with emotion that he almost fell off his horse. He met a very old man in the Hindukush Mountains, who was said to be 358 years old and got a new set of teeth after every 180 years. Muslims may claim due share in the exploration of vast oceans and the discoveries of far off lands. But the difficulty is that the achievements of Muslims in this sphere of human activity are not generally known to the world. The largest collection of literary and artistic treasures accumulated during the five centuries of the Islamic rule, perished at the time of the fall of Baghdad. The invaluable manuscripts were consumed to ashes by Hulagu Khan and his Mongol hordes. The cream of Muslim civilization met a similar fate in Spain, at the hands of Christian conquerors. Modern research has now begun to lift the veil from the face of mediaeval ages and the achievements of the Muslims now are revealed in all their glory. Map of the Persian Gulf from a 8-9th century AH (14-15th century AD) Persian translation by al-Istakhri at the Central Library, Tehran University. “At a time when Europe firmly believed in the flatness of the Earth,” says Ameer Ali, “and was ready to burn any foolhardy person who thought otherwise, the Arabs taught geography by globes”. Their progress in mathematical geography was no less remarkable. The works of Ibn Hauqal, Makrizi Istakhri, Masudi, Beruni, Idrisi, Qazwini, Wardi and Abul Fida contain store of geographical knowledge specially on this branch of science, called by them “Rasnul Ard”. The rotation and sphericity of the earth were discussed and proved by the Muslim geographers of mediaeval times. The Kitab Kalimat-ul-Ain deals with the rotation of the earth which causes day and night. Muslim astronomers also proved that the earth is a sphere and has a shape like a peach. Globes were commonly used in Arabic schools of mediaeval times which testifies to the contention of the sphericity of earth advanced by Muslims. Geography of the world was also taught with the help of globes in Moorish Spain. Arab Mariners and explorers had a very wide knowledge of seas and oceans. The greatest discovery of the Arabs was that the oceans are connected with one another and form a compact oceanic world. The first sea route described by Sulaiman al-h-Mahiri started from the Indian Ocean and passing through the Pacific Ocean, Behring Sea, Arctic Ocean and Atlantic Oceans entered the Mediterranean Sea through the Straits of Gibraltar. The other route was easier. Starting from the Indian Ocean and passing through the Abbysinian Sea, Mozambique channel and encircling the Cape of Good Hope it entered’ the Atlantic Ocean. Passing through the Straits of Gibraltar it entered the Mediterranean Sea. This was the route used by Vasco De Gama in 1498 A.D. This shows that the Arabs were the masters of the seas and possessed maps of seas and oceans which they freely used in their voyages. Ibn Khaldun has stated the length of the Red Sea, to be 1,400 miles, while according to current maps it is given as, 1,310 miles. This shows that the speculations of Arab geographers came very close to modern research. The Behring Sea and Strait was known to the Arabs. The route described by Sulaiman al-Mahiri went from the Pacific Ocean to the Arctic Ocean passing through the Behring Strait. The celebrated explorer Al-Masudi has also mentioned the Behring Sea in his works. Among the Arabs it was known as ‘Warang’ sea. According to the Encyclopaedia of America the geography of equatorial Africa and the issuing place of the river Nile was known to the Arabs for a very long time. In 1498 A.D. Vasco De Gama discovered a new route to India by passing through the Cape of Good Hope. Prince Henry of Portugal had established his nautical academy at Cape St. Vicent under the guidance of Arab and Jewish teachers which prepared the ground for the explorations of Vasco De Gama. It is now a well-known fact that an Arab had piloted his ship to India. Writing in Legacy of Islam, J. H. Kramers says, “when Vasco De Gama, after his circum-navigation of Africa in 11198, had reached Malindi on the East Coast of Africa, it was an Arab pilot that showed him the way to India. According to Portuguese sources, this pilot was in possession of a very good sea-map and of other maritime instruments. Arabic sources of that time also knew the story; they state that the Pilot, whom they knew under the name of Ahmad Ibn Majid, could only be induced to show the way to the Portuguese after having been made drunk”. Reporting from Bares, a Portuguese who was a member of the party ofVasco De Gama, writes in the Encyclopaedia of Islam: “When Vasco De Gama reached Malindi a Moor (Arab Muslim) called on him. Being much pleased in our company and with the idea of winning the favour of the king of Malindi who was in search of a pilot for the Portuguese ship, he (Arab Muslim) agreed to pilot our ship to India“. According to the earned author of the Encyclopaedia Britannica, a local hand had piloted the ship of Vasco De Gama to India. He is either shy of associating the name of a Muslim with the much advertised exploration of Vasco De Gama or is ignorant of such a vital fact which may hardly be expected from an author who has undertaken such a gigantic work. Modern research has proved beyond doubt that the Arabs discovered America. Muslim Geographers and astronomers believed in the sphericity of the earth. The trigonometrical tables of Khwarizmi were translated by Adelard of Bath, Gerard of Cremona and Roger Bacon. The famous book Image Mundi published in 1410 A.D. incorporated the Ain (or Arim) theory from the translations of Khwarizmi. It was from this book that Columbus learnt that the earth was pear shaped and that there must be some elevated part on the other side of the earth which he decided to discover. “Thus Islamic geographical theory”, observes J. H. Kramers, “may claim a share in the discovery of the new world”. Modern research on the subject has gone a step further and has established that the Arabs discovered America five centuries before Columbus. The following important news was published in leading Indian newspapers including the Delhi Express, dated 11th August 1952. The professor said, ‘Puzzling things previously inexplicable suddenly made sense and fitted a jigsaw puzzle’. The celebrated anthropologist of South Africa, Prof M. D. W. Jeffreys’ article has been published in various journals of the world in which he has given weighty proofs that Arabs had discovered America and had settled in Caribbean islands long before the arrival of Columbus. He says, “There is an old Portuguese tradition that when the Portuguese were exploring the coasts of Guinea (West Africa) under King John II, who died in 1495, these explorers brought maize, an American plant from Guinea to Portugal…. As maize must have reached Guinea from America to introduce it to Portugal before Columbus sailed from Spain, it is clear someone must have brought it from the Americas, and I claim it were the Arabs who did so”. In the same way banana was carried by Arabs to Caribbean islands and American mainland. Peter Martyr, a friend of Columbus, published his first Decade before 1504 A.D. In it he describes the banana as it appeared in the West Indies when the Spaniards arrived. He writes: “it (banana) was brought from a part of Ethiopia called Guinea, where it grows wild, as in its native country.” It was the Arabs who introduced the banana to Guinea (West Africa) and there from carried it to Caribbean islands and American mainland. Moreover the Atlantic islands were known long before the discovery of Columbus. The Arabic names of these islands in the geography published by a Franciscan Friar in 1350 A.D.
prove that most of these were inhabited by Arabs and their descendents, e.g. Lost Islands were named Kalidat, Teneriffe was named Elburd. The word Brazil too has Arabic origin. 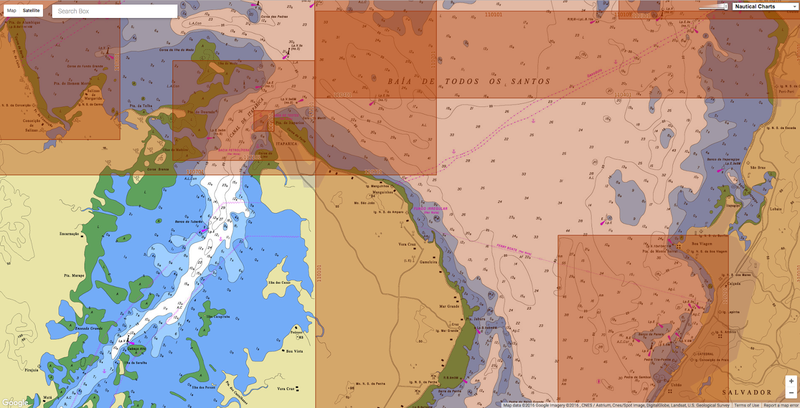 Armando Cortesao, formerly counsellor for the History of Science at UNESCO has published a book called The Nautical Chart of 1424, in which he has named several islands which have Arabic origin e.g. Antilia, Saya and Ymana. The celebrated Geographer Idrisi had published his well-known geography Nuzhat-al-Mushtaq about 1151 A.D. : Idrisi in his geography gives a hint that the Arabs knew the Americas. The Western Orientalist Glas, writing in 1764 A.D. of Idrisi, whom he -calls the Nubian geographer admits: “Anyone who reads with attention the first part of the Nubian Geographer’s Third Climate will be strongly inclined to believe that the Arabs had even some knowledge of America or West India Islands . The Inuit have relied for nearly a thousand years on tiny nuances in the breeze to guide them on foggy, starless nights, and they gave these winds special names. Based on a dialect spoken in western Greenland, Greenlandic is the country’s official language, though other dialects are spoken in the east and the north. It’s a fascinating language, Grenoble says, made up of extremely long words that can be customized to any occasion. “There are as many words in Greenlandic as there are sentences in English,” she says. Children play next to icebergs on the beach in Nuuk, Greenland. Though it’s not a perfect measure, language is one of the best ways we know to gauge cultural diversity. And that diversity is in danger. 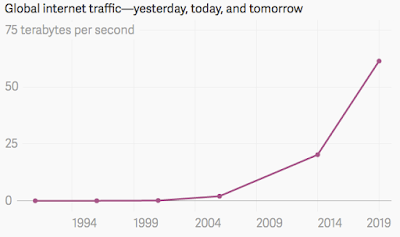 Linguists predict in the next 100 years, half of the 7,000 languages currently spoken in the world will vanish. The most common cause of language death is when people let go of their old language for a more dominant one, according to the Cambridge Handbook of Endangered Languages. People have an incentive to adopt languages of power, ones that have come to dominate through colonization and offer higher social status and better job opportunities. Languages can also die when a population is physically threatened through natural disaster, famine, disease, or war. If you’re well versed in the effects of climate change, that list will sound familiar. As the world heats up, we’re on track to see more intense storms, rising seas, prolonged droughts, and the spread of infectious diseases — all of which can, in turn, lead to chaos, armed conflicts, and migration. And when people settle in a new place, they begin a new life, complete with new surroundings, new traditions, and, yes, a new language. an Inuit fisherman stationed on a remote fjord in Greenland. Perhaps no place on Earth is a clearer testing ground for rapid warming than Greenland. In the last four years, more than 1 trillion tons of ice have melted from its massive ice sheet. This year, the pace of melt was so shocking to climate scientists that they initially doubted their measurements were coming in right. As Greenland’s environment is transformed, plant and animal communities are reshuffling faster than almost anywhere on Earth. Polar bears are moving south, mosquitoes are proliferating, new fish species are arriving, rain is falling erratically, and the air is getting more humid. The way of life for native Greenlanders is shifting, too. While people used to use the winter sea ice in northern Greenland to hunt and travel, that ice is weakening. Now, a misstep could plunge you into ice-cold water. Traditional Inuit food sources, like caribou, are also affected. Baby caribou tend to show up at the same time each spring, when plants are usually in their prime. But as the Arctic warms, plants are blooming and withering earlier. This mismatch means that young caribou and their mothers are eating lower quality food. On the other side of the globe, Greenland’s melting ice is contributing to a similar existential crisis in the Marshall Islands. The chain of low-lying coral atolls stationed between Hawaii and Australia is experiencing a mass migration on the level of the exodus seen during the Irish Potato Famine. A fifth of the population left the country between 1990 and 2011, and climate change is increasingly a factor in the decision to relocate. As the ocean swallows up the sandy islands, flooding streets with sewage and inundating freshwater supplies, people will be forced to migrate, likely to the United States. The largest population of Marshallese outside of the islands is in Springdale, Arkansas. There, Marshallese immigrants would likely assimilate and lose their traditional language within the span of a few generations. “There’s definitely the sense that if you don’t speak Marshallese, you’re not really a Marshallese person,” says Peter Rudiak-Gould, an anthropologist who has studied the Marshall Islands for 10 years. Coral atolls do have a built-in resistance to rising seas: Healthy corals grow and die, washing up on island shores as sand, naturally building them up over time. But the process can’t keep up if sea level rises too fast, or if reefs are lost. “Anywhere there’s a coral atoll and a unique cultural group on that atoll, there’s that potential for mass migration and extinction of languages,” said Rudiak-Gould. Tuvalu, Kiribati, and the Maldives are all examples of this. Like the communities in the Arctic, the islanders of the South Pacific are facing down an uncertain future from unsteady ground. It’s difficult to pin migration solely on any single factor, which may explain why climate’s impact on indigenous languages hasn’t been studied closely. The Cambridge Handbook of Endangered Languages includes one tiny paragraph on the subject. It notes that climate change has been “largely overlooked” by linguists, even though it’s already begun to affect Arctic languages and will accelerate the decline of indigenous languages around the world. Rudiak-Gould says we don’t really have any idea how many languages will go extinct. In an email to Nicholas Ostler, chair of the Foundation of Endangered Languages, I asked why the linguistic community hasn’t looked into climate change more closely. But climate change isn’t some far-off scenario: It’s the reality we live in now. In the Andes, isolated communities rely on glaciers and lakes that are vanishing. Coastal villages in Alaska are already relocating to escape rising seas and melting permafrost. Once-fertile farmland in sub-Saharan Africa is turning into desert. These communities have to negotiate life in a new, unpredictable environment — or leave, throwing tradition and identity to the winds. Climate change could displace an estimated 200 million people by 2050 (even up to 1 billion!). 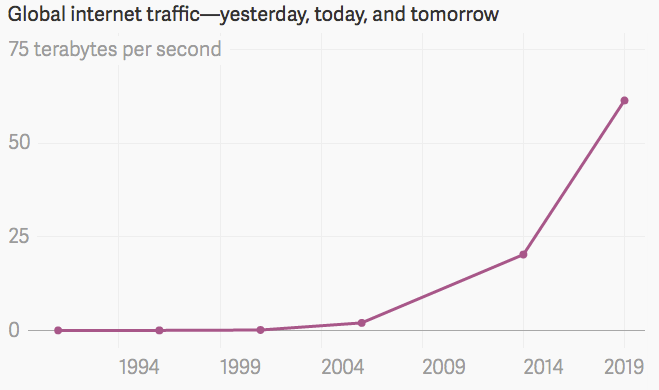 If we’re not at the tipping point yet, it’s on the way. Emigration can threaten languages, but so can migration. Greenland, with only 50,000 residents, is facing a veritable invasion of foreign workers flocking to the small country to take advantage of opportunities opened by the retreating ice, largely in oil and mineral extraction. The boom is catapulting Greenland into 21st century geopolitics. Most projections estimate the new wave of industry could bring in about 2,000 foreign workers, but one found that as many as 200,000 migrant workers could come to the country — four times the current population. While the mining and drilling hasn’t begun, Greenland is already inundated with visitors. Many are “doomsday tourists” who want to see the country’s famous icy wilderness before it melts beyond recognition. About 35,000 people visit Greenland by plane each year, plus another 30,000 cruise visitors. “You have these cruise ships that land and empty out hundreds of people getting off the boat, wearing the same color jackets — like they’re all red or yellow,” Grenoble says. The government is replacing Danish place names with the traditional Inuit ones, translating written materials into Greenlandic, and ensuring the language is used in schools. There’s even a language committee that legislates new words. Katti Frederikson, the head of the language secretariat, helps develop and approve new Greenlandic terminology for all sorts of subjects: economics, science, mining industries, and law. In 2013, the council approved the Greenlandic term for climate, silap pissusia, and climate change, silap pissusiata allanngornera. These terms are explained in the clip below (following a brief overview of Greenlandic by Grenoble) by Lene Kielsen Holm, a Greenlander who works as a scientist at the Greenland Climate Research Center. “It’s hard to talk about change the way the Westerners are talking about it, because the Westerners are doing it in an abstract way,” Holm says in the video. “If we lose our language, lots of stories will be lost, and lots of the traditional knowledge about nature, climate, medicine, and landscape,” Frederikson says. To keep theirs alive, Greenlanders have to do more than hang on to their vocabulary. They need to keep the language relevant, shaping it to an unfolding world of miners, tourists, and changing winds. Arctic nations should consider limiting the size of vessels and ban the use of heavy fuel oil in the region, industry players said, after a first luxury cruise ship sailed safely through Canada's Northwest Passage this summer. With a minimum ticket price of $19,755, the 1,700 passengers and crew on board the Crystal Serenity followed - in reverse - the route first navigated more than a century ago by Norwegian explorer Roald Amundsen. They left Anchorage in Alaska on Aug. 15 and docked in New York on Sep. 16. The ship's operator, Crystal Cruises, says on its website it will repeat the voyage in 2017. It declined a request for comment when contacted by Reuters. "The Northwest Passage is thousands and thousands of nautical miles with absolutely nothing ... There is a need to discuss possible regulation," said Tero Vauraste, the CEO of Arctia, a Finnish shipping firm specializing in icebreakers. "So we must do everything we can do to prevent this," said Vauraste, who is also vice-chair of the Arctic Economic Council, a regional forum for business cooperation between Arctic nations. Navigation in icy waters is made more difficult by poor satellite imagery. "An ice field might move at a speed of 4-5 knots, but a ship will receive a satellite picture of it that is 10-20 hours old," said Vauraste. "We need better quality imagery." Another concern is environmental. "Potentially, an accident involving a mega-ship could represent an environmental disaster," said Daniel Skjeldam, CEO of Hurtigruten, a cruise ship operator in the Arctic and the Antarctic, whose biggest ships can accommodate 646 passengers. Cruise ships usually use heavy oil, a type of fuel that takes longer to break down in the event of a spill. The Crystal Serenity did not use heavy oil during its trip, its operator has said. "Heavy oil in cold conditions is sticky and takes much longer time to break down so it has a prolonged effect on the environment," said Marco Lambertini, director-general of World Wildlife Fund International. "If something happens at the beginning of winter, no cleanup can be done. Oil can get trapped under the ice and travel for a hundred kilometers," he told Reuters. A U.N. polar code will come into effect in 2017 which toughens demands on ship safety and pollution. It bans heavy fuel oil in the Antarctic, for instance, but merely encourages ships not to use it in the Arctic. "What I call for is stronger regulations coordinated between the Arctic nations," Hurtigruten's Skjeldam told Reuters. He suggested the size of ships should be limited, without specifying by which criteria, that the use of heavy oil be banned and shipping companies should aim to reduce their emissions by, for instance, using hybrid engines. The impact of the 'mega-ships' on small arctic communities is also becoming a concern. Svalbard - an archipelago midway between Europe's northernmost point and the North Pole - is experiencing a tourism boom, with the number of overnight stays by visitors rising 14 percent in July year-on-year to 18,000. "I stay home when the cruise ship tourists come. Too many people at the same time. It is really stressful," said Fredric Froeberg, 37, a Swedish guide who runs excursions on snow scooters and boats from Longyearbyen, Svalbard's main settlement, with around 2,160 inhabitants. "This place should not become too big. Otherwise it will become overexploited, like so many other places around the world. What is fantastic here is the nature." Wbur : Melting Ice Allows Northwest Passage Cruise -- But At What Cost? ASIL : Can the Polar Code Save the Arctic? When the stress of everyday life pushes you to search for the most remote point on Earth, you might be surprised to learn there are actually a few to choose from. But if you have decent sea legs, nothing beats the furthest point from land, also known as the "oceanic pole of inaccessibility". Since its official title is a bit of a mouthful, it has been nicknamed Point Nemo, after author Jules Verne's famous seafaring anti-hero Captain Nemo. The name means "no-one" in Latin which is fitting for a place so rarely visited by man. Point Nemo is located over 1,000 miles (1,600km) equidistantly from the coasts of three far-flung islands. Ducie Island (one of the Pitcairn islands) is to the north, Motu Nui (of the Easter Island chain) is to the north-east and Maher Island (off the coast of Antarctica) is to the south. It is a rather peculiar place. Experts had long discussed the geographical conundrum of finding the middle of the ocean, but it took modern technology to provide a full solution. The oceanic pole of inaccessibility was officially discovered in 1992 by survey engineer Hrvoje Lukatela. Instead of launching an expedition, Lukatela stayed on dry land and calculated the point's location using specialist computer software. Rather than simply putting a pin in a flat projection of the Earth, the software incorporated the planet's ellipsoid shape for maximum accuracy. It seems unlikely that the point will move significantly within the foreseeable future. "The location of three equilateral points is quite unique, and there are no other points on the Earth's surface that could conceivably replace any one of those," says Lukatela. It is possible that better measurements, or coastal erosion, would shift the location of Point Nemo, "but only in the order of metres". 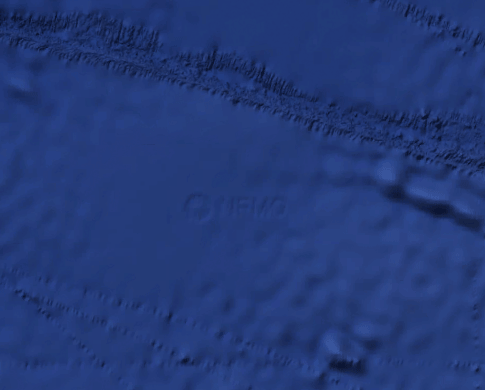 Point Nemo is so far from land, the nearest humans are often astronauts. The International Space Station orbits the Earth at a maximum of 258 miles (416km). Meanwhile the nearest inhabited landmass to Point Nemo is over 1,670 miles (2,700km) away. In fact the whole region around Point Nemo is well known to space agencies. The area is officially known to space agencies as the "South Pacific Ocean Uninhabited Area". In particular, the Russian, European and Japanese space agencies have long used it as a dumping ground, because it is the point on the planet with the fewest human inhabitants and the quietest shipping routes. Over a hundred decommissioned spacecraft are thought to now occupy this "spacecraft cemetery", from satellites and cargo ships to the defunct space station Mir. Rather than single monuments to the history of space travel, the remains are spread across the ocean floor in bits, says space archaeologist Alice Gorman of Flinders University in Adelaide, Australia. "Spacecraft do not survive atmospheric re-entry whole," says Gorman. "Most of them burn up in the fierce heat. The most common components to survive are fuel tanks and pressure vehicles, which are part of the fuel system. These are generally made of titanium alloys or stainless steel, often encased in complex carbon fibres, which are resistant to high temperatures." While smaller fragments burn up in the atmosphere, leaving nothing but an impressive light show, Gorman says the larger parts of the 143-tonne Mir were reputed to have washed up on Fijian beaches, while the rest sank to the ocean depths. "Like shipwrecks, they create habitats that will be colonised by anything and everything that lives at that depth," says Gorman. "Unless there is residual fuel that leaks out, there should not be a hazard to aquatic life." Rumours have long swirled about what might live at Point Nemo. Despite writing 66 years before its discovery, science fiction author HP Lovecraft chose a site eerily close to the oceanic pole of inaccessibility for R'lyeh, the home of his legendary tentacle-faced creature Cthulhu. In 1997, oceanographers recorded a mysterious noise less than 1,240 miles (2,000km) east of Point Nemo. This led to a great deal of excitement, and a fair bit of trepidation. The sound, dubbed "the Bloop", was louder than even a blue whale – leading to speculation that it was made by some unknown sea monster. However, the Bloop has since been confirmed to be the sound of ice by the U.S. National Oceanic and Atmospheric Administration. When large icebergs crack and fracture, they generate powerful, ultra-low-frequency sounds. Subsequent recordings of known icequakes have shared similarities with the Bloop. So if Point Nemo is not really home to an octopus-man-dragon, what exactly does live there? According to oceanographer Steven D'Hondt of the University of Rhode Island in Narragansett, possibly not much. This is because the oceanic point of inaccessibility sits within the South Pacific Gyre. This is a massive rotating ocean current: bound east and west by the continents of South America and Australia, north by the equator, and south by the strong Antarctic Circumpolar Current. The waters within the gyre are stable, with a surface temperature of 5.8C (42F) at Point Nemo according to data from NASA satellites. The rotating current blocks cooler, nutrient-rich water from coming in. What's more, because the region is so isolated from land masses, the wind does not carry much organic matter. As a result, there is little to feed anything. With no material falling from above as "marine snow", the seafloor is also lifeless. D'Hondt describes it as "the least biologically active region of the world ocean." Still, there are a few exceptional points where unique creatures can survive. Point Nemo is near the southern end of the East Pacific Rise, a submarine line of volcanic activity that stretches up to the Gulf of California. It marks the boundary of the Pacific and Nazca tectonic plates, which are gradually moving apart. Magma wells up in the gap between the plates, creating hydrothermal vents that blast out hot water and minerals. It is an extreme environment, but bacteria thrive here, gaining their energy from chemicals released by the eruptions. In turn, the bacteria sustain larger creatures. These include the "yeti crab", which was first observed in 2005 and named for its hairy appearance. There is still much to be discovered in these depths, but its remoteness makes Point Nemo an expensive and challenging destination for research. Apart from the occasional round-the-world yacht race, there are hardly any visitors. That means it is unlikely to pop up on your social media, so you have to use your imagination to picture it. "On a calm day, the sea surface in the heart of the South Pacific Gyre is simply beautiful – clear cornflower blue, with a violet tone – because it contains so little particulate matter and so little living material," says D'Hondt. Or it would be, if it were not for littering. When the virtual band Gorillaz released their 2010 album Plastic Beach, they created a fictional backstory: supposedly the music had been recorded at a recording studio built on marine debris at Point Nemo. This is not as entirely far-fetched as it might sound. A study published in 2013 confirmed that there is a garbage patch within the South Pacific Gyre. The biggest accumulation of waste was at the centre, around 1,550 miles (2,500km) north-east of Point Nemo. The garbage is mainly plastic waste like polystyrene, film, fishing line, fragments and pellets washed from ships and coastlines. The rotating current traps the trash, breaking it down into tiny pieces. Biologists believe the rubbish could could throw the ecosystem out of balance by helping some species proliferate while others suffer. Even in the most remote spot on the planet, it seems there is no escaping humanity's wasteful habits. GeoGarage blog : Where is Point Nemo?